“The scheme includes 84 homes alongside commercial spaces set within eight blocks which vary in height. The development will reinstate one of the city’s nineteenth-century lanes with ’meandering buildings’ framing a pedestrian and cycle-friendly streetscape. 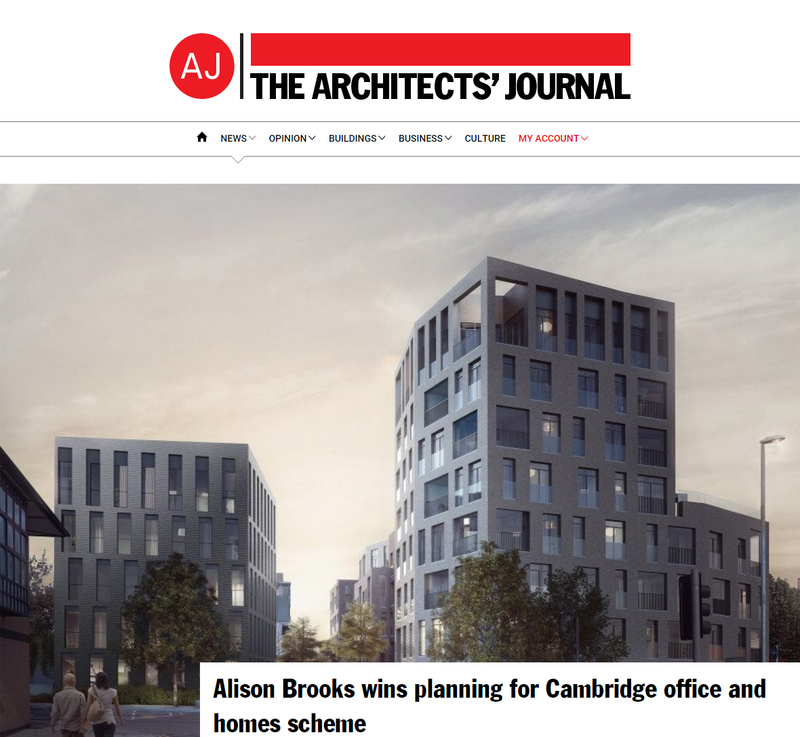 It will reconnect two of Cambridge’s existing neighbourhoods with a new urban passage framed by high density housing. Using brick as the main material, each apartment block will be given its own identity through subtle changes in colour, texture and reflectivity. Each of the residential blocks will feature generously sized private balconies, projecting porches and decks.